Along the roadside the women walk dressed to kill in costumes fit for a party. Stitched by market tailors, the women take infinite care and infinite pleasure in decorating themselves. 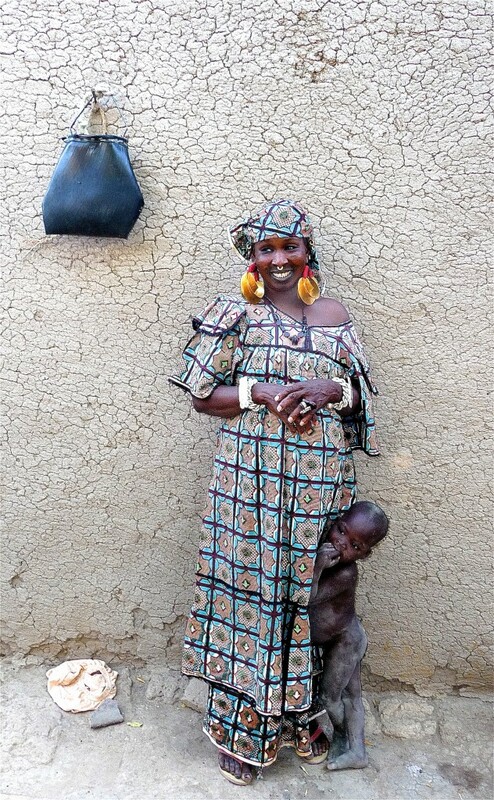 In a land where even a Ziploc bag cannot keep the dust at bay, I have yet to understand how women emerge from their mud brick houses, no cupboard or chest for storage, dressed in floor length gowns and flamboyant headscarves, ironed to a crisp finish. And together, like a flock of showy birds, they set to their tasks, drawing river water, harvesting millet, tending goats and nursing babies.